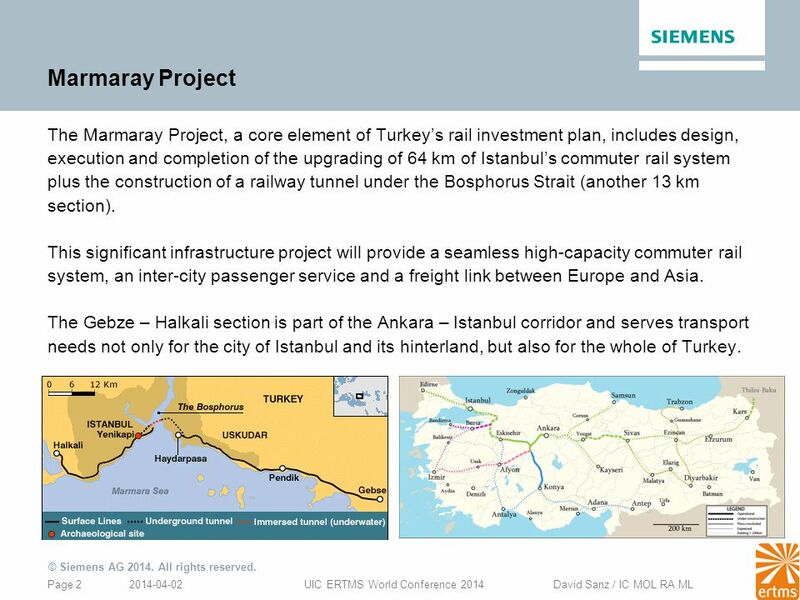 2 Marmaray Project The Marmaray Project, a core element of Turkey’s rail investment plan, includes design, execution and completion of the upgrading of 64 km of Istanbul’s commuter rail system plus the construction of a railway tunnel under the Bosphorus Strait (another 13 km section). 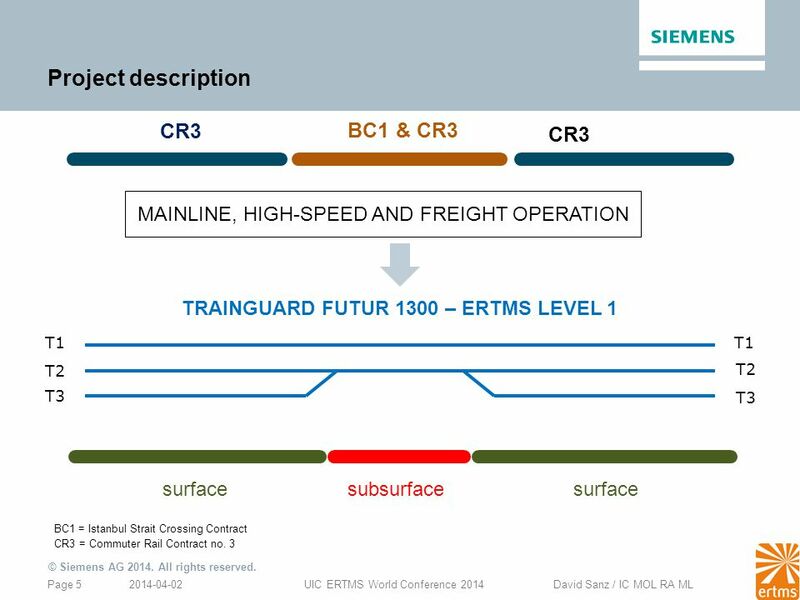 This significant infrastructure project will provide a seamless high-capacity commuter rail system, an inter-city passenger service and a freight link between Europe and Asia. The Gebze – Halkali section is part of the Ankara – Istanbul corridor and serves transport needs not only for the city of Istanbul and its hinterland, but also for the whole of Turkey. 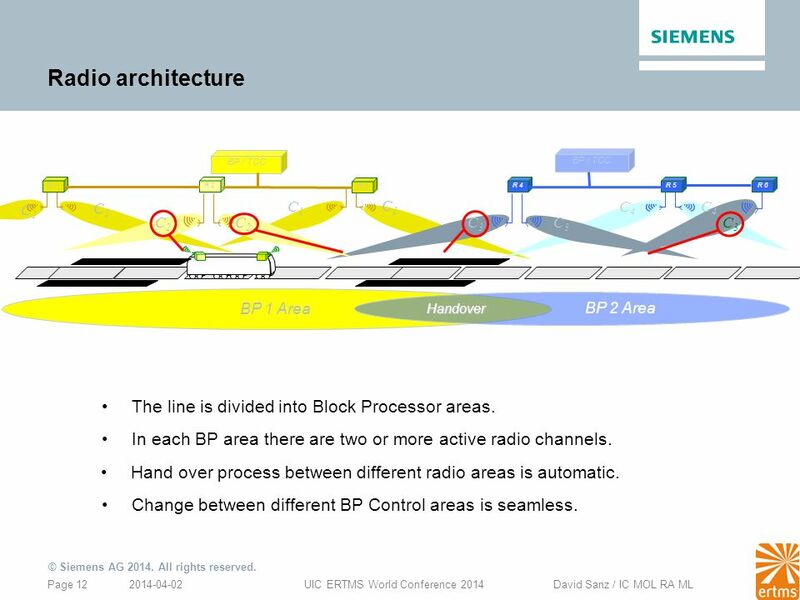 12 Radio architecture The line is divided into Block Processor areas. 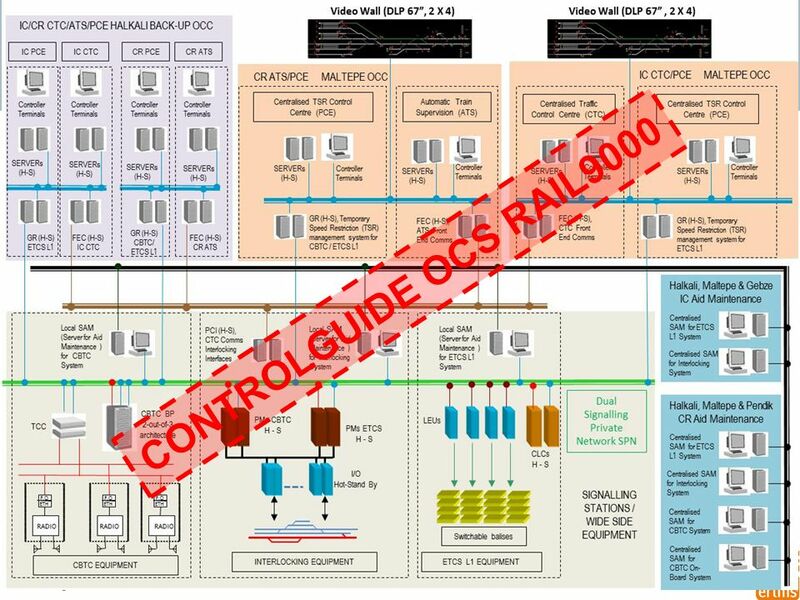 BP / TCC BP / TCC R 1 R 2 R 3 R 4 R 5 R 6 C1 C1 C1 C1 C4 C4 C2 C2 C3 C3 C3 BP 1 Area BP 2 Area Handover The line is divided into Block Processor areas. In each BP area there are two or more active radio channels. Hand over process between different radio areas is automatic. Change between different BP Control areas is seamless. The BP receives location info from all trains and the route status from the Interlocking, and calculates the movement authority for the train. The movement authority will be sent to the train. 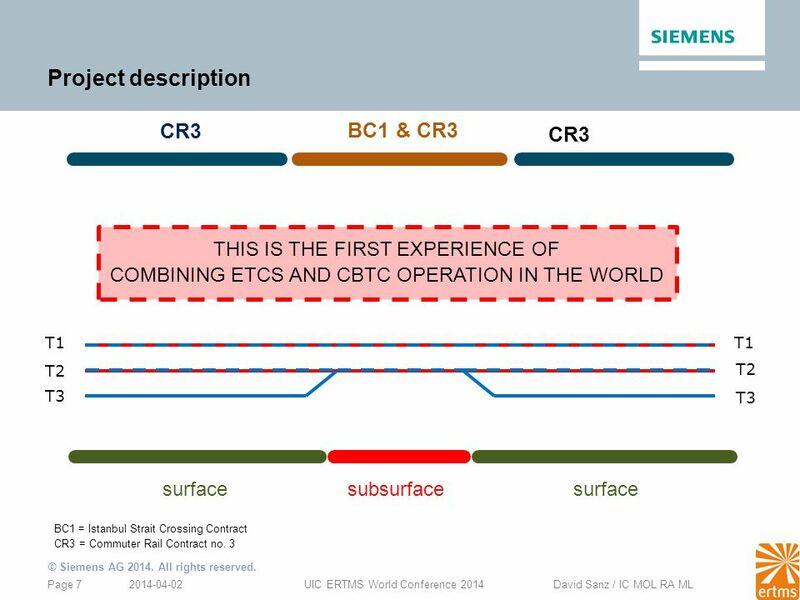 It will include all geo-localized and non-geo-localized TSR data that will allow the train to calculate its braking curve. 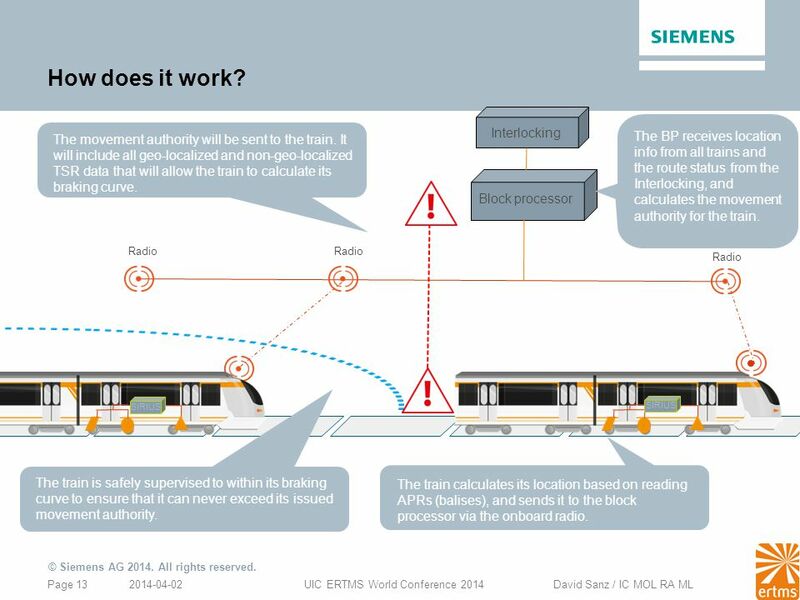 Interlocking Block processor Radio Radio Radio SIRIUS SIRIUS The train calculates its location based on reading APRs (balises), and sends it to the block processor via the onboard radio. 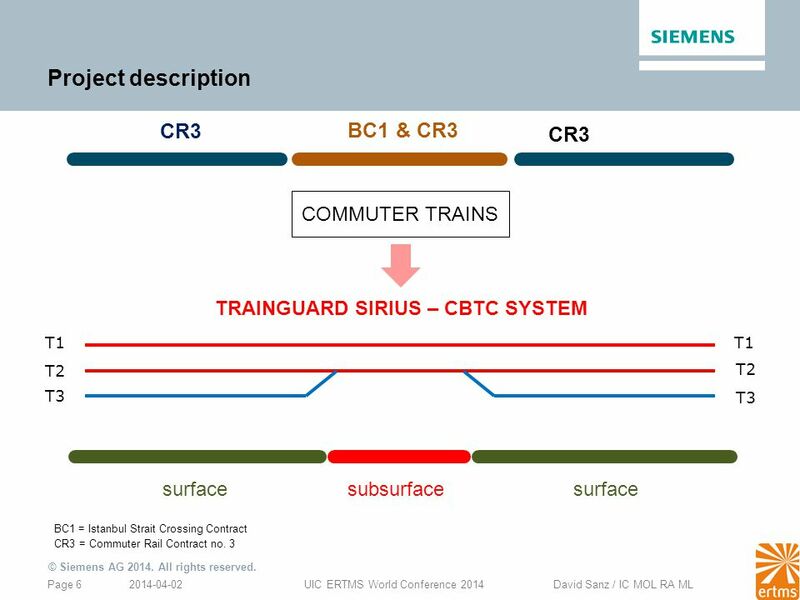 The train is safely supervised to within its braking curve to ensure that it can never exceed its issued movement authority. Interlocking The interlocking sends the track circuit status to the block processor. 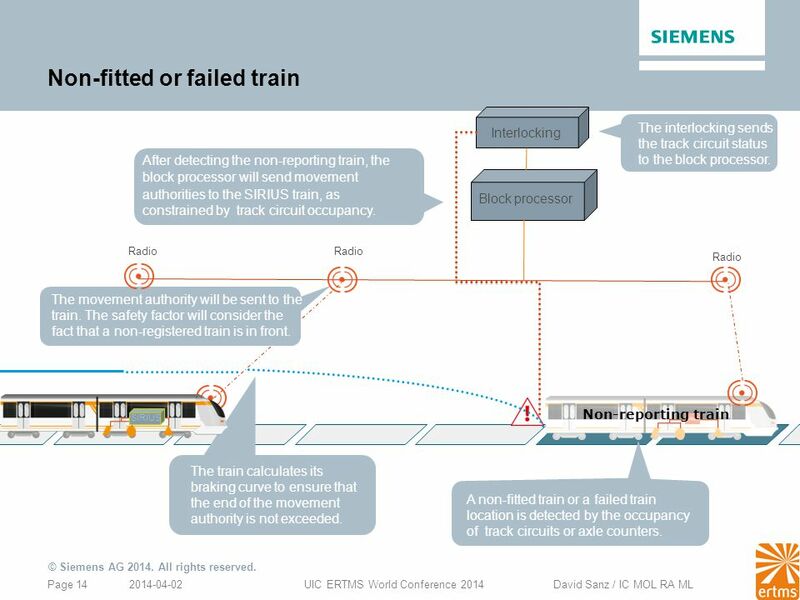 After detecting the non-reporting train, the block processor will send movement authorities to the SIRIUS train, as constrained by track circuit occupancy. Block processor Radio Radio Radio The movement authority will be sent to the train. The safety factor will consider the fact that a non-registered train is in front. 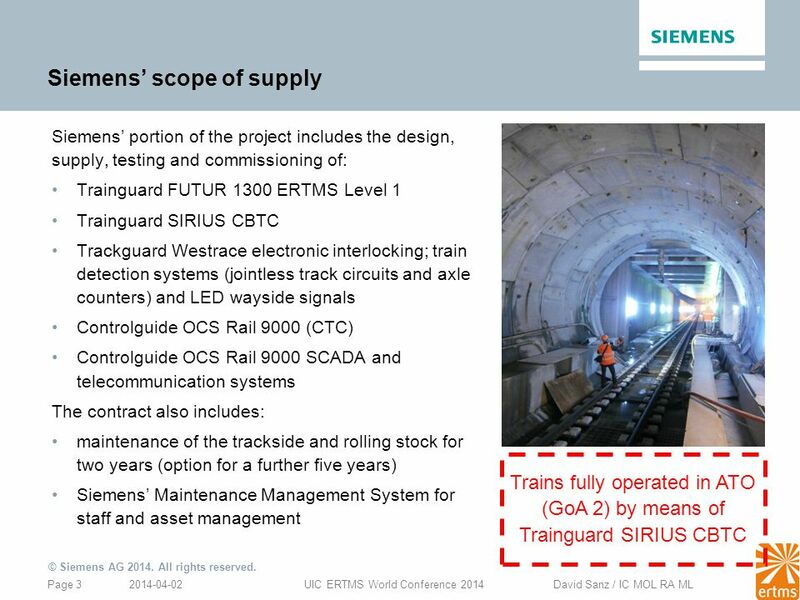 SIRIUS Non-reporting train The train calculates its braking curve to ensure that the end of the movement authority is not exceeded. 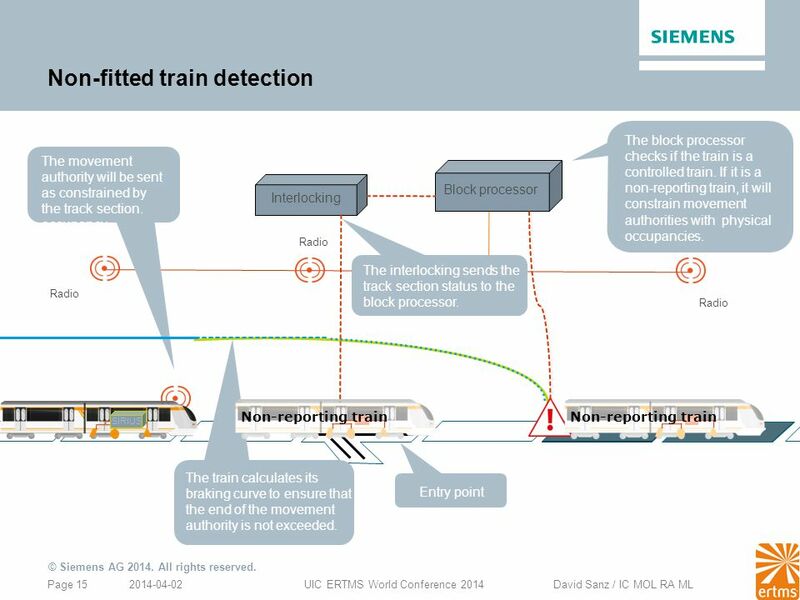 A non-fitted train or a failed train location is detected by the occupancy of track circuits or axle counters. 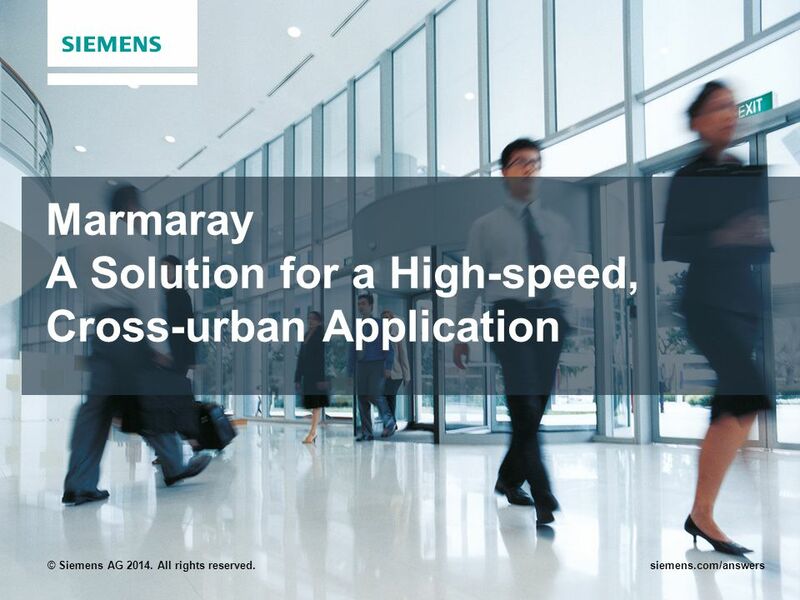 Download ppt "Marmaray A Solution for a High-speed, Cross-urban Application"
Interoperable Railways from vision to reality: the Italian experience RAILWAY DAYS – BUCAREST. 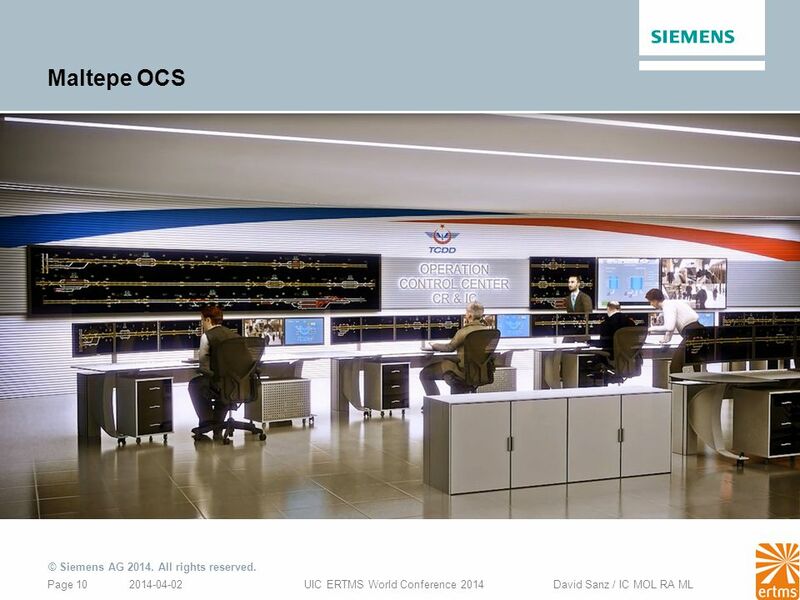 Installation Department of Turkish State Railways UIC 11th ERTMS World Conference, İstanbul, 2014 ERTMS/ETCS Implementations in Turkey Fatih Sarıkoç Ph.D.
1 INDUSTRY GROUP 1 GSM-R State of the Art and Close Future Trends UIC ERTMS World Conference Istanbul 1-3 April 2014 Ola BERGMAN Head. 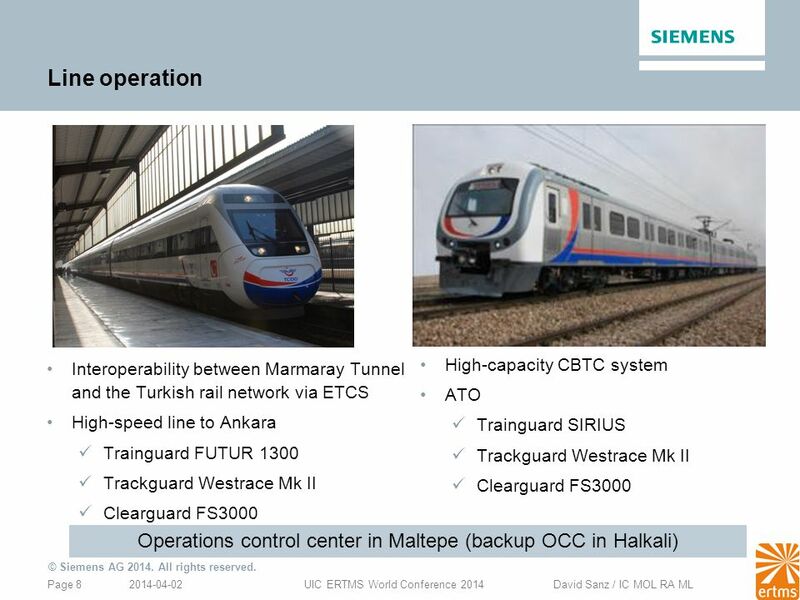 ERTMS deployment experience in Turkey: Mersin - Toprakkale and Gebze - Köseköy lines Leone Fenzi Istanbul, April 2nd 2014. 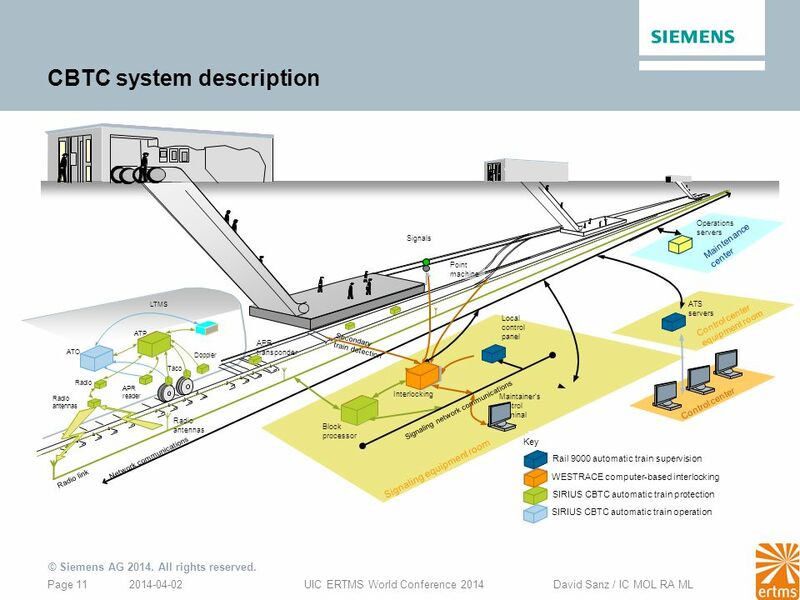 NEW YORK CITY TRANSIT’S Communications-Based Train Control Standard A Look at the Leader’s System Geoffrey P. Hubbs New York City Transit & Edwin A.
Arval Engaging Businesses in Road Safety. 2 ■ Arval CSR Manager – Tracey Fuller ■ Arval Fleet Manager ■ Road Safety Ambassador ■ Partnership working at. 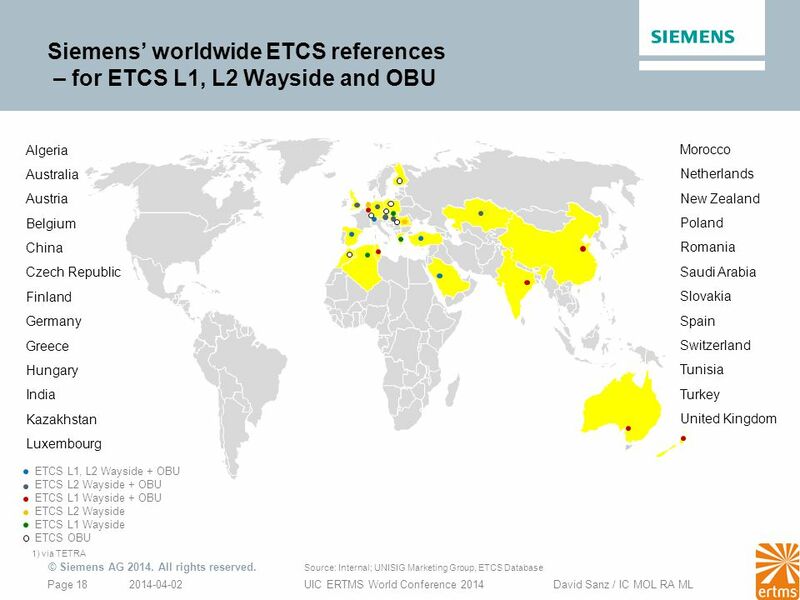 UIC The Worldwide Association Representing the Railway Sector Nathalie Amirault Head of Unit Expertise Development, UIC RAILWAY OPERATION IN ECVET A LLP-DoI. 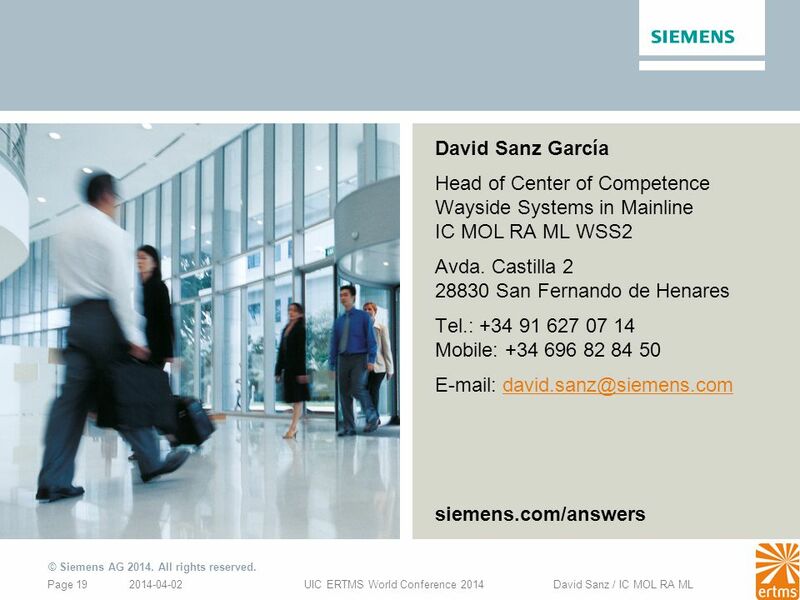 © Invensys 00/00/00Invensys proprietary & confidentialSlide 1. 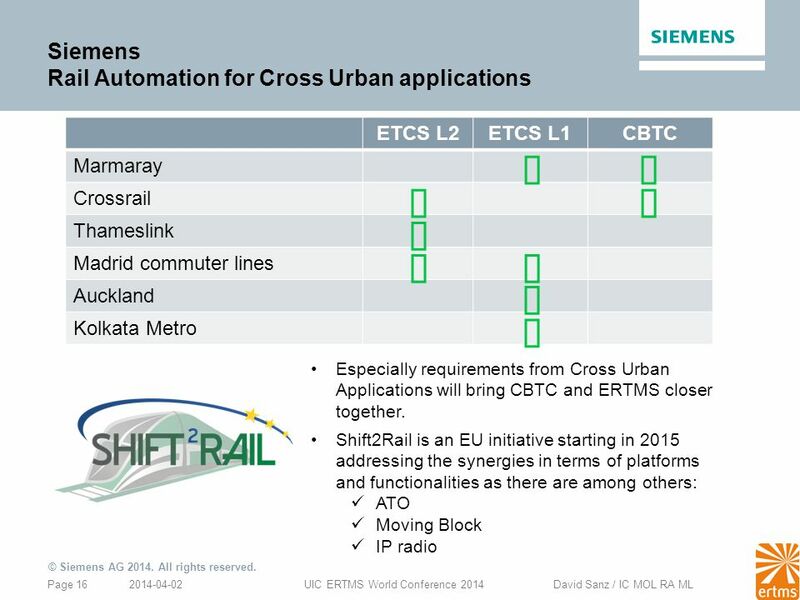 Materials developed by K. Watkins, J. LaMondia and C. Brakewood Rail Capacity Unit 3: Measuring & Maximizing Capacity. 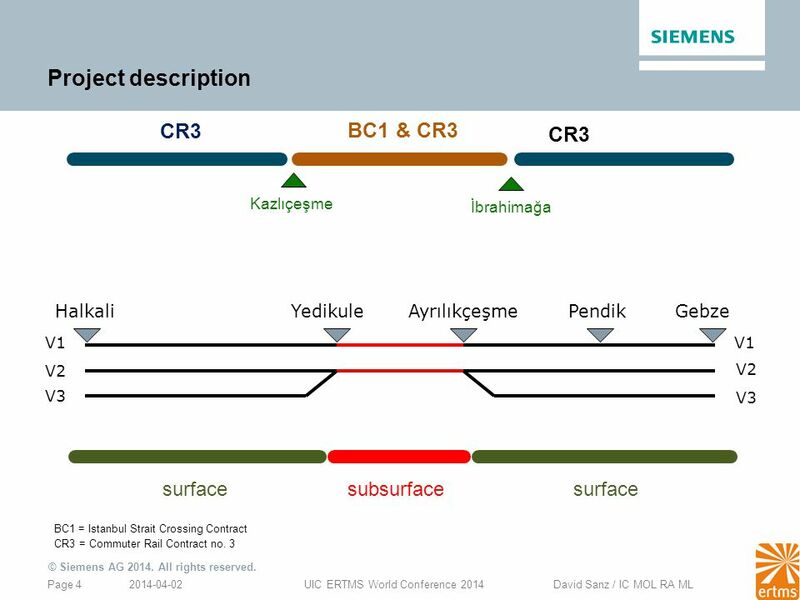 UIC ERTMS Conference, Istanbul Apr 2014 Evolution of the Railways Communication System Developments on the Succession of GSM-R Piero Petruccioli. Challenges for Rail Freight OSJD Freight Commission Odessa, 30 May 2011 Oliver Sellnick, Director Freight UIC. ©David F. Thurston, 2012, All rights reserved Capacity Implications of PTC now and in the Future David Thurston, Ph.D., P.E., FIRSE Vice President – Rail. Express Rail Link The First Operational TETRA System for Rail in the World Dr. Aminuddin Adnan CEO Express Rail Link Sdn Bhd 18 May st Malaysian. 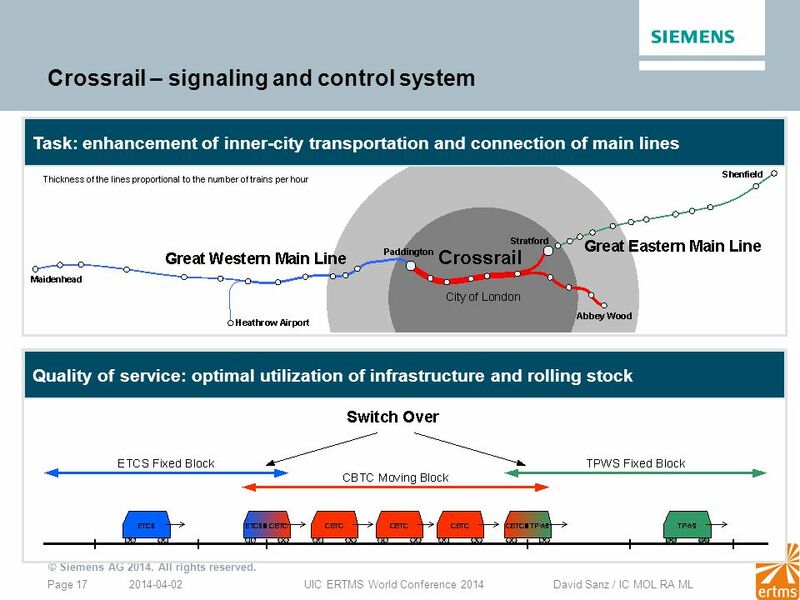 UIC ERTMS Conference, Istanbul 01-03 Apr 2014 Evolution of the Railways Communication System Developments on the Succession of GSM-R Piero Petruccioli.